Provide the template with a name here. 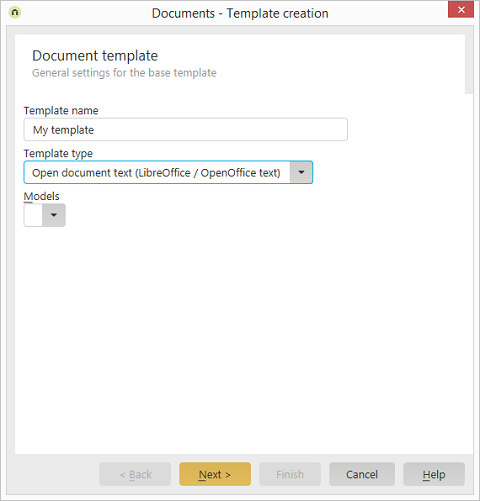 In this drop-down list, you can select the desired program to generate the final document or PDF, depending on the preset specified for the document engine in the portal properties. Please note: Using Microsoft Office to edit ODT files is not recommended by United Planet, and no technical support can be provided if errors occur. If a template has not yet been created, no entry will be shown in the "Models" drop-down list. As soon as you create a report template, it is available for selection here. All report templates are saved to the portal directory internal\reports\document-templates.